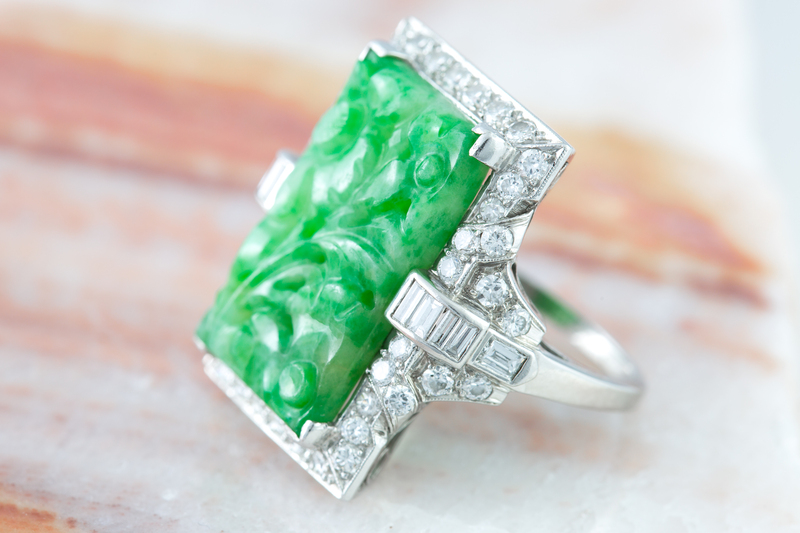 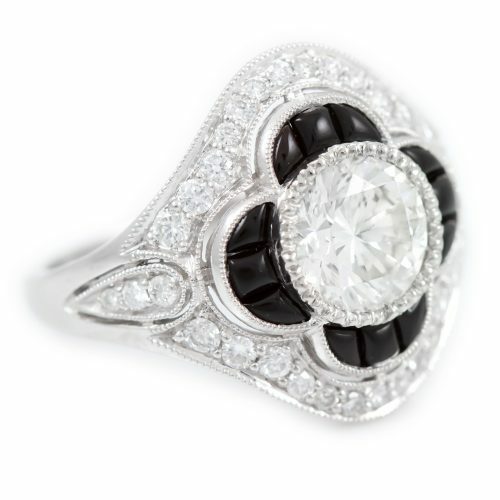 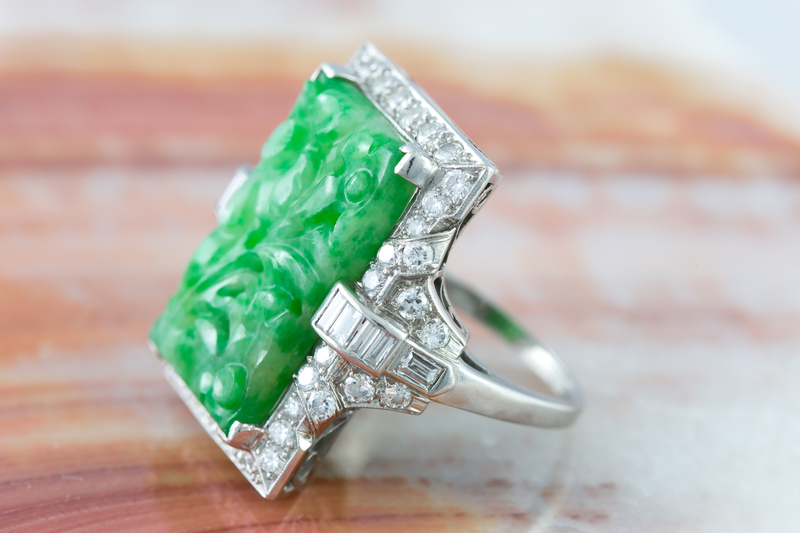 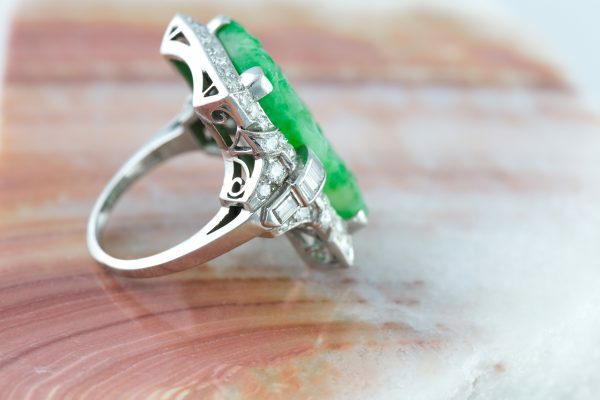 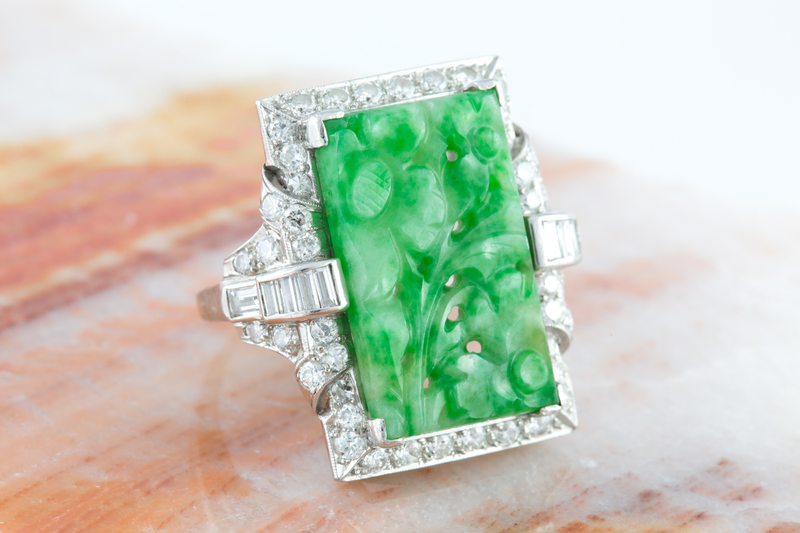 Heirloom quality carved Jadeite set in platinum and diamond Art Deco mounting. 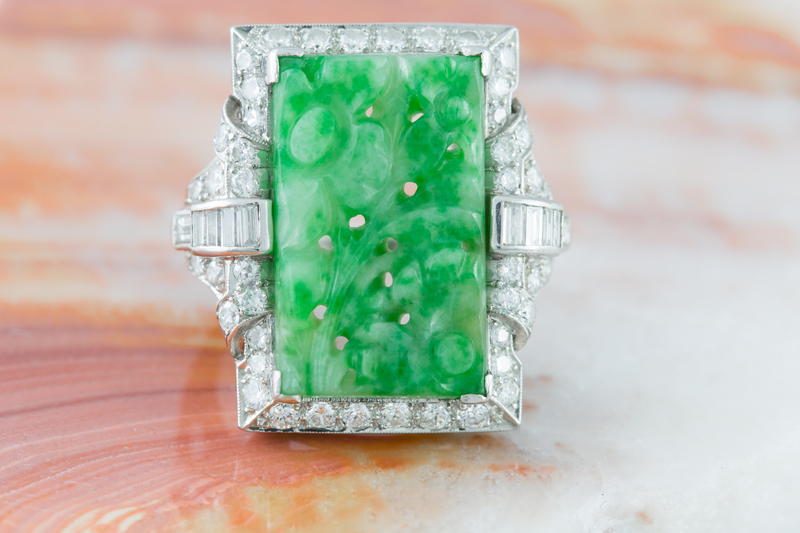 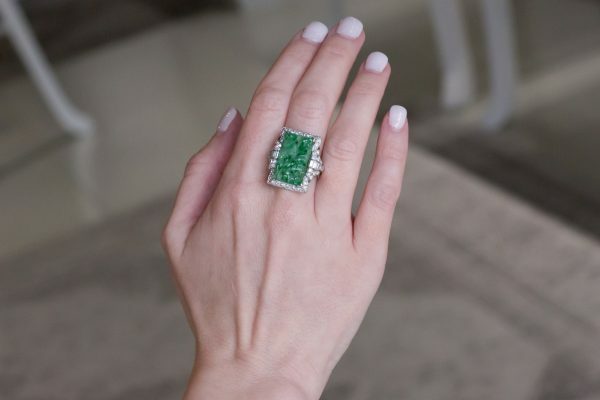 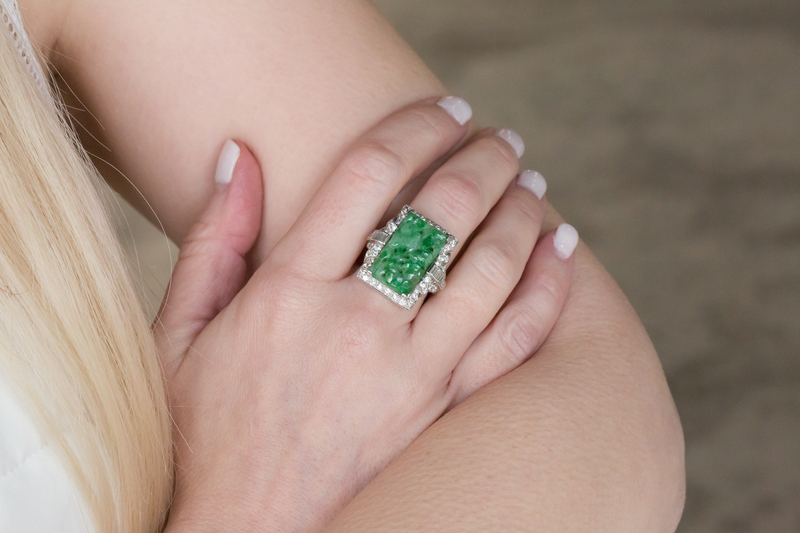 Beautiful medium green Jadeite features a floral design that is surrounded by 40 single cut brilliant diamonds and 10 baguettes for a total diamond weight of 1.00 carats . 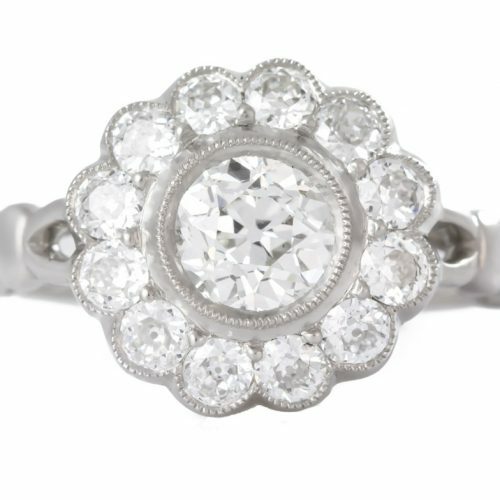 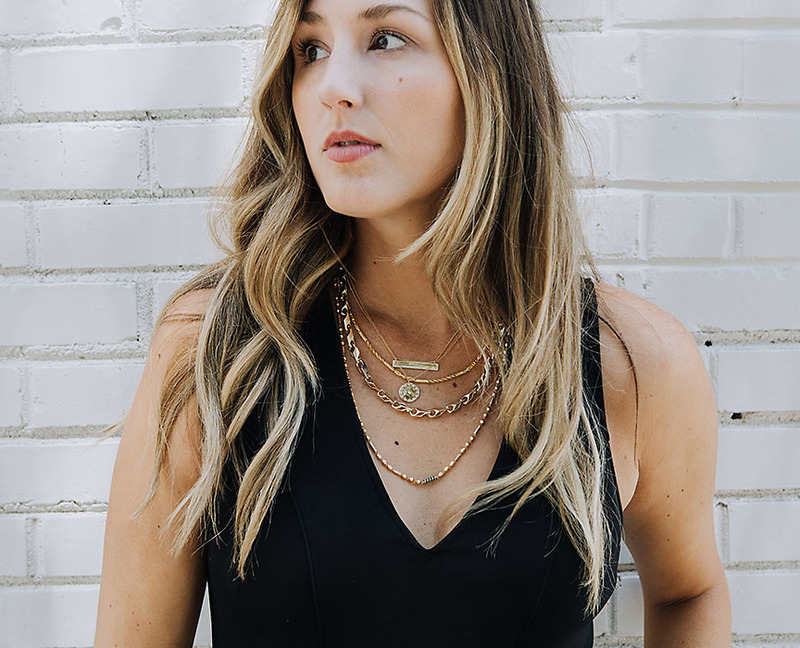 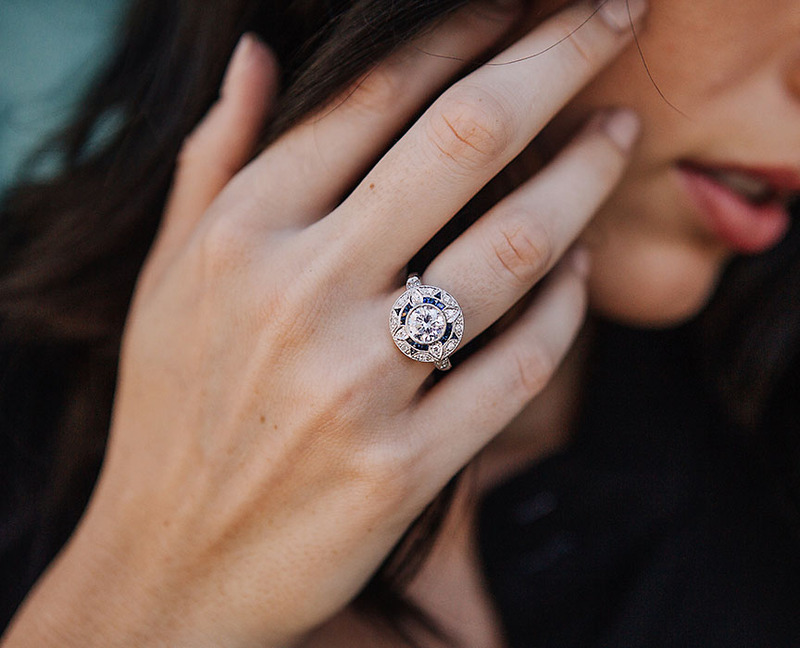 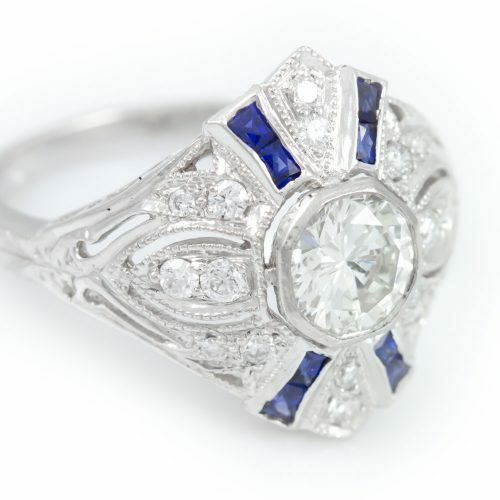 Perfect Statement Piece.